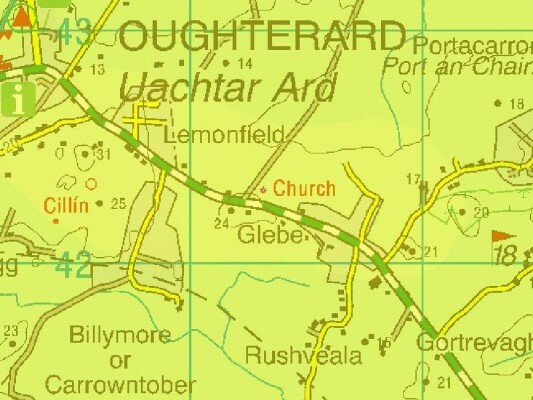 Ordnance Survey Map showing Rushveala to south-east of Oughterard town. Modern day view over Rushveala bog. Summary of James Mitchell’s article in Journal of the Galway Archaeological and Historical Society, Vol. 55 (2003). In 1837 Thomas Barnewall Martin, of Ballynahinch Castle, MP for County Galway, owned 200,000 acres in Connemara; Thomas Henry O’Flahertie, who resided at Lemonfield, on the eastern outskirts of Oughterard, possessed 2,000 acres. By coincidence, exactly two centuries previously, in 1637, when the Strafford survey of the town and county of Galway was conducted, Connemara was almost entirely held by the O’Flahertys. Inevitably, such a reversal of fortune occasioned the hostility of the ousted O’Flahertys. 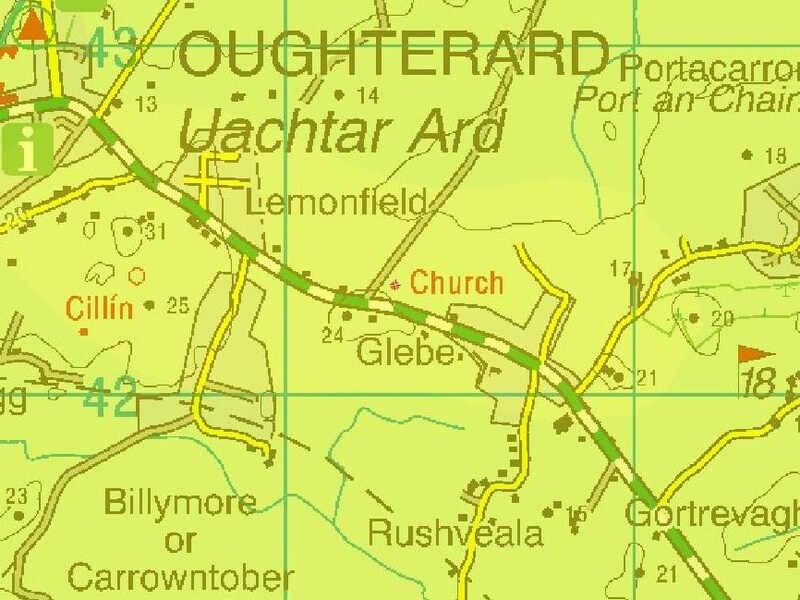 In fact, in 1705 Richard Martin’s elder son was found dead near Lemonfield as the result of a stab wound in the back inflicted by an O’Flaherty; the memory of the fatality served to perpetuate the feud. On 9th September 1837, T.B. Martin and George Fortescue O’Flahertie, a relative of T.H. O’Flahertie, had an argument concerning the ownership of a bog of some twenty acres, where they had happened to meet. 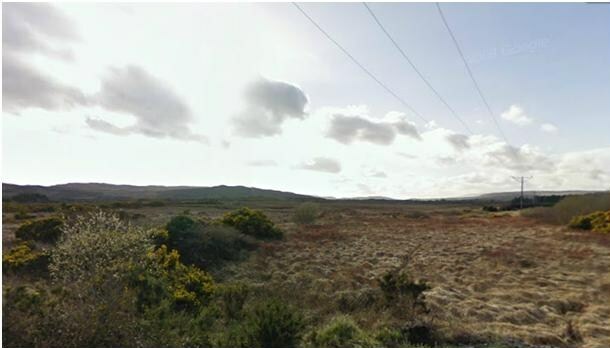 The bog lay between two properties belonging respectively to the Ballynahinch and Lemonfield estates. The unresolved argument caused the earlier hostility between the two families to erupt again. The antagonism rapidly developed with an intensity such that, three months later, on 8 December, the bog in question became the scene of what was to prove the last physical confrontation between the two families. This affray came to be known, from the hundreds of supporters involved, from its ferocity and from its site – across the Galway road which runs between it and Lemonfield – as ‘The Battle of Rushveala’. A memorandum describing the incident was compiled, within hours of its taking place, on 8 December 1837, by an official observer. This was John Hickman Daly, the chief constable at Oughterard. His report was forwarded to the under secretary at Dublin Castle; it reads as follows. “I beg leave to state: this day about the hour of one o’clock Thomas B. Martin, Esq., M.P., with about three hundred men, most of whom were armed with sticks, proceeded about a mile outside this village, to a portion of bog, situate at Rosvilla, barony of Moycullen, which bog as to the right of property, is in dispute between Mr. Martin and Mr. Th. H. O’Flahertie, of Outerard, Esq. On the arrival of Mr. Martin and his party on the bog, they commenced driving off the bog some cattle which were then on the bog, and which cattle were then protected by a like number of Mr. O’Flaherty’s tenants, as also by Mr. George O’Flaherty, Esq., the brother in law of Mr. Th. H. O’Flaherty. The parties resisted and a general engagement commenced, when Mr. Martin’s men succeeded in driving the cattle off the bog, as also the tenants of Mr. O’Flahertie, when a number of the persons on each side received some desperate and severe wounds and other injuries. This page was added on 06/08/2012.